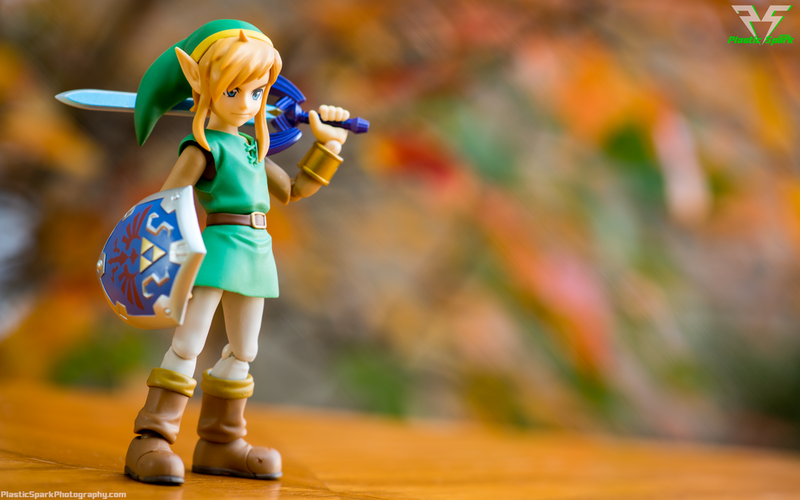 As a huge Legend of Zelda fan, owning this figure was a must. I have been waiting for this Figma for a long time and it absolutely does not disappoint! 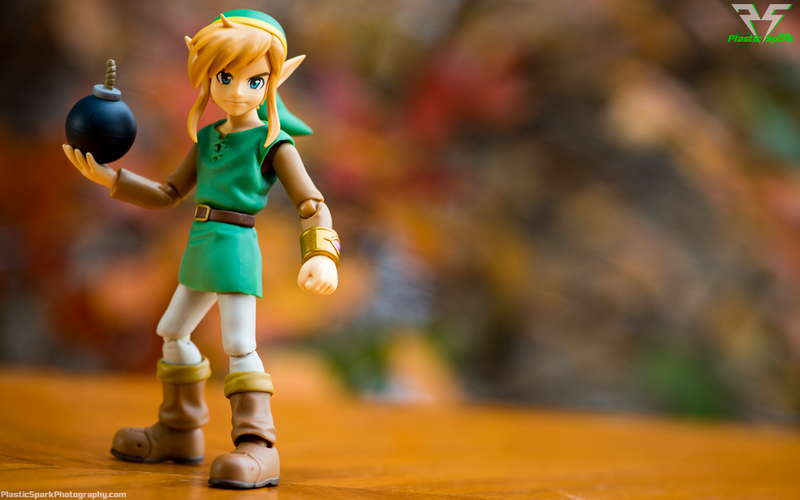 Looking like he stepped right out of my Nintendo 3DS Figma Link is a wonderful representation of this classic video game hero. I chose to go with the DX version for the extra included accessories. The sculpt on Link is fantastic, all the fabric folds and layers are incredibly recreated in plastic and vinyl. In true Figma fashion his joints are designed intelligently allowing for the maximum range of movement without the need for sometimes ugly double joints. 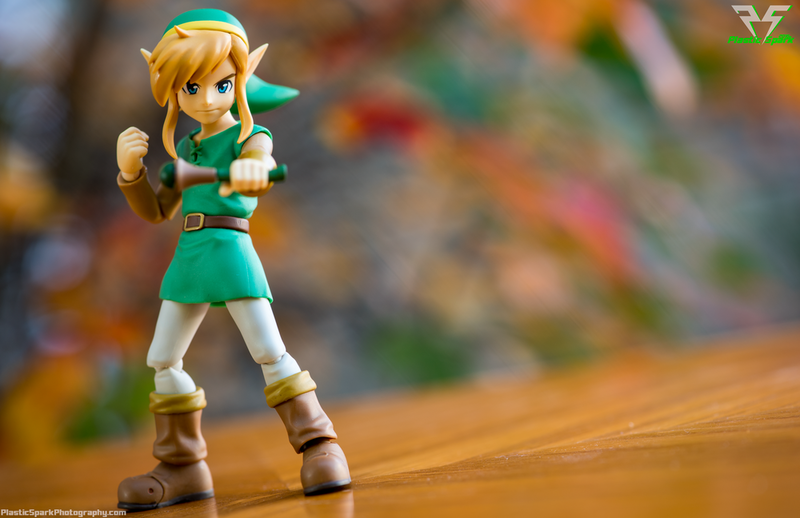 Link's tunic is a flexible material allowing for a minor ab crunch and a good amount of leg movement however it does limit some of the poses he can achieve. Using the belt to help hide the waist seam is an effective technique that I really enjoy on figures like this. In particular Link's hair sculpt is incredible and the facial details and eyes are so incredibly well applied. They are crisp and there are very few flaws in the final product. 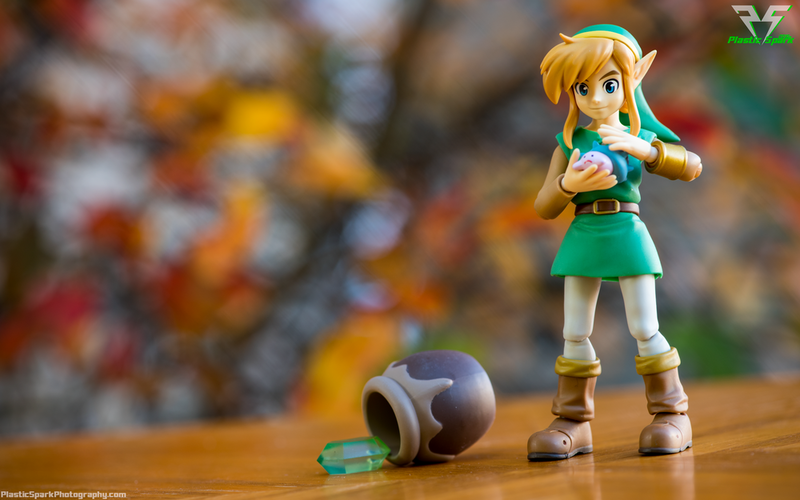 I'm so excited to finally own a classic style Link and to have one that is so well done. His signature fluffy fringe and long sideburns are expertly recreated in a slightly flexible plastic allowing a good range of movement without damage. The included accessories in the DX version are as follows. The regular version includes the sword and shield, as well as the 2d Link cutout only. - 1 x Hookshot with both extended and compacted hooks. While it is not included as a listed accessory, I would like to note that Ravio's Bracelet is a separate piece that can be removed if you want to have a more classic look. I would love a classic sword and shield to complete this look down the road. There is no sheath included for the Master Sword. While this matches most of the games promotional art it does seem like a strange choice as the sheath is present in the actual game and it would do wonders in helping to hide the Figma peg hole on his back. A shouting face would have been a nice inclusion as well. I have been anxiously awaiting this release since seeing the 2d art reveal and even more so since the first prototype was shown at NYCC 2015. 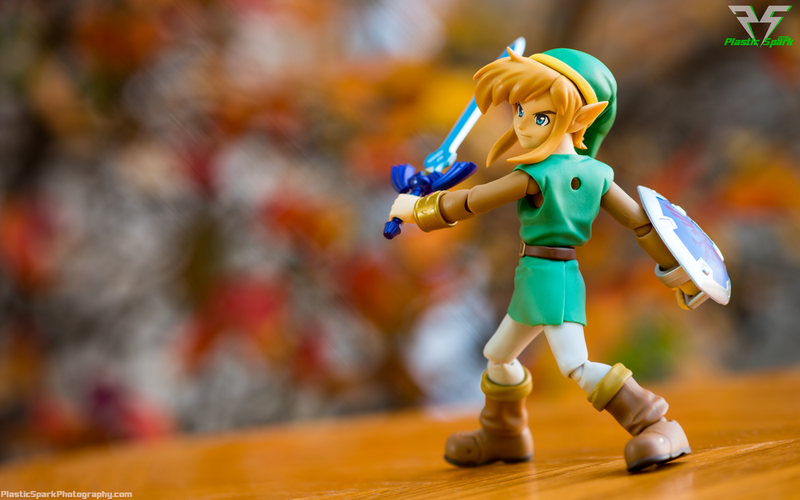 Figma knocked it out of the park with Link and I really can't put into words how happy I am with this figure. 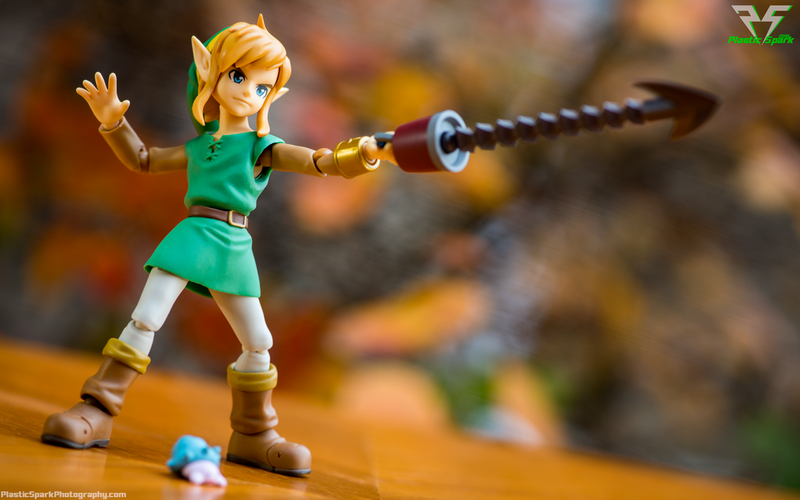 If I had one critique it would be that the ab joint is a bit too limited and prevents realistic sitting or leaning poses but that seems to be a problem with most if not all Link figures on the market. The DX version is a bit harder to purchase due to being a limited release from Good Smile, however it is absolutely worth the price of admission if you can get it. The included extra accessories are the cherry on top of what is already a very delicious piece of cake. 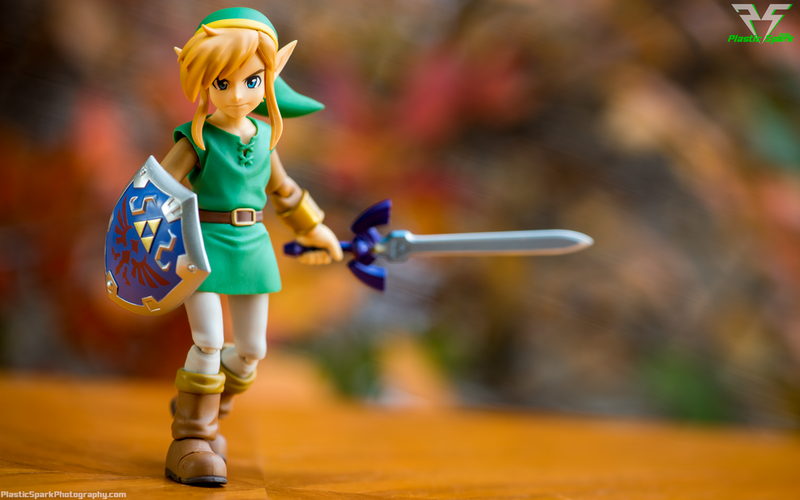 I absolutely recommend this figure to any fan of the Legend of Zelda franchise, or good action figures in general. Check out the full hi-res gallery below and let me know what you think in the comments section!